Facebook is presenting at a conference? Google is hosting a meeting in Mountain View? Where do I sign up? How can I get tickets? Will they be signing autographs? Okay, maybe no one will be seeking autographs, but there is something strange that happens to otherwise sane car dealer employees and managers when they’re in the presence of these companies. You’ve seen it: selfies at the Googleplex; Instagram posts next to the “Like” sign. They’re starstruck. They act like they’re standing at the birthplace of humanity or hanging with Beyoncé. It’s time to understand that Google – when we’re talking about Pay Per Click, Display Advertising & YouTube Pre-Roll Advertising – is not your friend. Likewise, Facebook – when it comes to advertising on their various platforms (and just about anything else) – is not your friend. These companies are not your allies; and, contrary to their messaging, they’re not your partners. Google and Facebook are vendors: they are providers; suppliers; sellers. This doesn’t make them bad, of course, it just means you need to treat these two tech giants like you would any other vendor. You need to keep them at arm’s length and always weigh their advice against your best interests. Both are publicly-traded and, thus, both are (understandably) more interested in showing revenue growth to Wall Street than in driving a cost-effective advertising solution specifically for your dealership. Again, this doesn’t make them bad; it just means they’re not going to tell you to spend your advertising budget elsewhere. 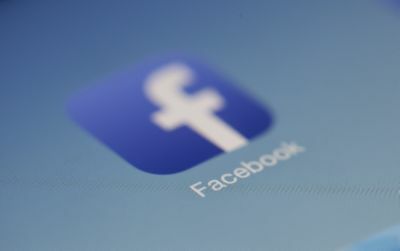 Google and Facebook provide a service in exchange for money. Buy more of their services, they make more money. Understanding this – better yet, internalizing this – means you’ll start to make better decisions with your marketing dollars. Facebook and Google (and especially Google’s Premier Partners) are just like the local billboard company. That is, they want to make the most money off you that they can. Again, this doesn’t make them inherently bad, it’s just a fact. So, the next time a vendor pitch includes the line “we’re a Google Premier Partner;” just realize this means they’re aligned with Google, another vendor. 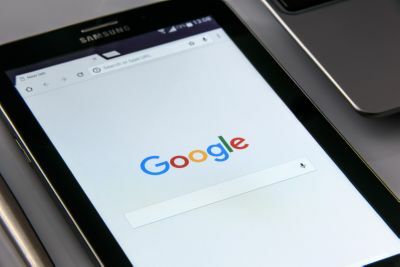 For you, the dealer, this is an indication that they spend lots of money with Google, they may have passed various Google certifications, and that they may have access to certain Google tools that others do not. This doesn’t mean you should give them a blank check. If your local ad agency rep arrived at your dealership touting they were a “Lamar Outdoor Premier Partner,” you’d quickly ascertain that they might have an inside track with the billboard company; but, this wouldn’t change your dealership’s strategy around outdoor media. It doesn’t matter that someone is a Premier Partner if they’re wasting your budget, right? I mean, if they just used a bid optimization program with no human interaction for your PPC campaigns; and that program overspent on worthless keywords that drove no ROI for you; it wouldn’t matter what level of vendor anointment they received from Google, right? In digital marketing audits for dealers and groups, we continue to see crazy costs for keywords, terrible (or no) ROI, and lots of wasted spend. This doesn’t mean dealers shouldn’t listen to Google or their PPC vendors; it means that Google’s advice on your digital ad spend should be looked at the same way that you might take Lamar’s advice on billboards. Lamar is motivated to tell you how great billboards are, aren’t they? Similarly, Google is motivated to tell you how great PPC is, right? As with all things digital, measurement matters. Tracking and measuring your ad spend using real-world ROI metrics is all it takes to determine where and how to spend your money. This means it’s important to always look beyond what you can co-op, who’s a Premier Partner, trying to “always be there,” and especially what Google tells you to do… that is, if your goal is to use digital marketing to drive sales. Last year, P&G cut $200 million from their digital spend and increased their reach by 10%. How? Basically, they did two things: They focused on their best interests (not Google’s and Facebook’s); and they tracked and measured the ROI of their digital spend. Measurement – especially when it comes to digital marketing – matters. Now, hurry up and take that selfie in front of the Googleplex; just don’t confuse what’s cool with what’s best for your dealership. « But it’s Co-Opable! » A New Way to Buy A Car?